The main cause of all forms of diabetes is pancreatic beta-cell dysfunction. Beta cells, found in the pancreatic islets, store and release insulin. Decades of research with animal and cellular models have expanded the knowledge on the molecular mechanisms causing the beta-cells to dysfunction. Diego Balboa's doctoral research now offers a more precise model that employs human pluripotent stem cells. "Human pluripotent stem cells constitute a renewable source of beta-cells. Stem cell-derived beta-cells can be generated by directed differentiation and used as a model to study pancreatic beta-cell development and disease in vitro," Balboa explains. Compared to the novel method, the traditionally used animal and cellular models have limitations that may significantly affect the way the findings can be translated into new approaches to combat diabetes in humans. For example, rodent pancreatic islet development and physiology differ from that of humans, and rodent and human insulinoma cell lines do not recapitulate faithfully the functionality of adult human beta-cells. Thus far, the best model has been the cadaveric donor human islets that are scarce, and difficult to manipulate for certain experiments. 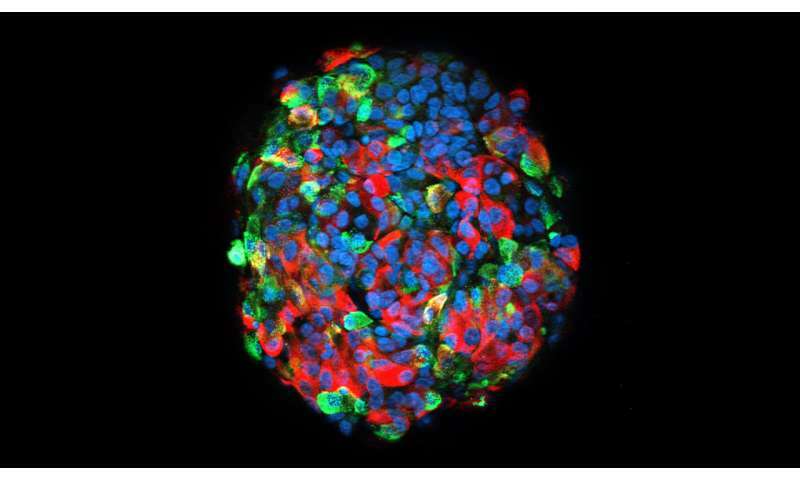 Balboa's research demonstrated the use of human pluripotent stem cells as a tool to investigate monogenic diabetes disease mechanisms. The cells can also be transplanted into immunocompromised mice, generating humanized models where in vivo beta-cell function can be closely evaluated in a systemic context. "For this purpose, improved human pluripotent stem cell differentiation protocols to the beta-cell lineage were generated utilizing 3-D suspension culture approaches," Balboa says. In his research, Balboa also established novel CRISPR-Cas9-based gene editing techniques to model monogenic diabetes cases. "Using these approaches, an activating mutation in STAT3 gene was found to cause neonatal diabetes by inducing pancreas endocrinogenesis prematurely. In a similar way, INS gene mutations causing proinsulin misfolding were found to impair developing beta-cell proliferation due to increased endoplasmic reticulum stress."